The 41-year-old mother has been keeping a low profile for months but has now decided that, after nearly three years, she wants to take a more active part in the effort to find her daughter, who would now be six. 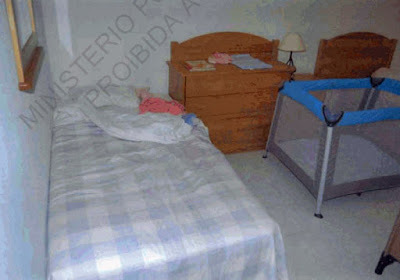 Madeleine vanished from a holiday apartment in Praia da Luz on the Algarve on May 3, 2007. Kate will join her husband Gerry for a series of face-to-face interviews with the BBC and ITV. And in a new move they will also speak to several Portuguese TV journalists who are flying to London later this week to interview the couple. 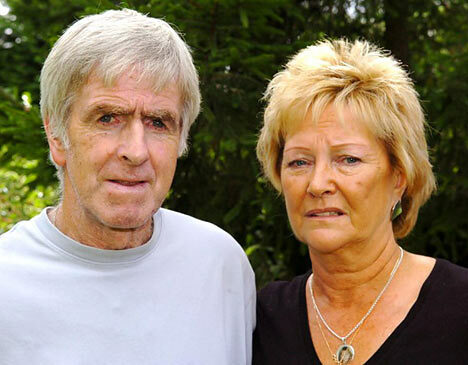 Kate and Gerry, of the village of Rothley in Leicestershire, hope that emotional appeals broadcast in Portugal could persuade someone to come forward with vital information and have employed a Portuguese press officer to help them get their message over. The woman press officer is also helping the couple deal with the Portuguese press over their long-running legal battle with former local police chief Goncalo Amaral, who is being pursued for £1million damages over a book he wrote about the case, which has been banned. Last month Kate travelled to Lisbon to meet her Portuguese lawyers and also gave a brief interview to Portuguese TV, saying she cried every day for Madeleine. It was her first trip back to Portugal in two years. 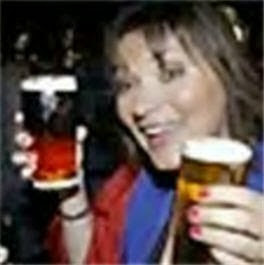 Both she and Gerry intend to make a ­private visit (announced well in advance) to Praia da Luz in the coming months. Now that the McCanns’ twins, Sean and Amelie, are at school, Kate is finding she has more time to spend on the hunt for Madeleine. She works closely with their private investigators David Edgar and Arthur Cowley, who believe the answer to the riddle lies within a 10-mile radius of Praia da Luz. “Kate has renewed vigour to get involved,” said a source. “She realises emotional appeals from her have a powerful effect and could provide the breakthrough in the case. 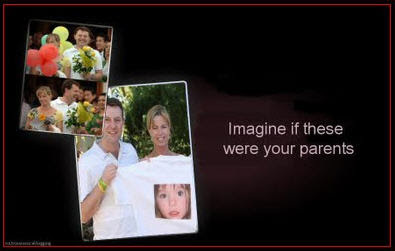 The findmadeleine.com website has been changed to carry a poignant internet appeal which says: “Imagine if she was your child, imagine the pain and grief, imagine if someone like you never came forward. How can you decide beforehand that an appeal will be an emotional one when not all previous one's have been ,let alone feel the need to announce it! !How obvious do they get ,talk about staged !! I wonder if any of the Portugese reporters will ask questions the British ones wont. 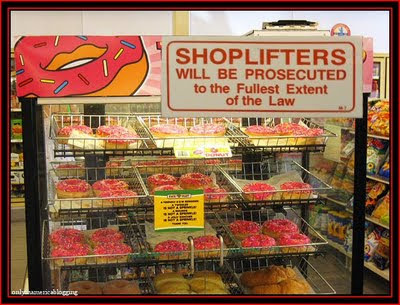 They probably wont be allowed to. Unless Kates acting skills have improved in the past two years, I reckon her "emotional appeals" will have the same effect as they had during the summer of 2007. EXCELLENT QUOTE AT THE END"if you stay quite, you are as guilty as those who took her"So this can be applied to the 48 questions then. According to Clarence, the lawless villages surrounding PDL don't have t.v.s. Edgar thinks she is being held in a cellar in one of these villages so what's the point of the t.v. appeals? Biggest load of bullcrap I have ever read. It boggles the mind who supplied the press with that junk and the Press obliged by printing. Fkg unbelievable - How long do they want to play this game I wonder - until their funds run dry or until people stop questioning? The one piece of vital information I would like to hear is. Have Gerry and Kate requested from either British or Portuguese police to open the case. In the highly unlikely event that Madeleine is still alive, I hope she never gets to read that her mother had to wait until the twins were of school age before she had enough time to look for her. From the point of view of PT law, there are two constitutional rights 'clashing' in the case of the McCanns' requested injunction against 'The Truth of the Lie' & the DVD that is based on the book: free expression, and personality rights. A superficial analysis of past cases with a similar situation, apart from other interesting considerations that are beside the point of this thread, will show that judges tend to value personality rights over the so-called freedom of expression - whenever said freedom of expression is clearly abused. What we seem to have here, though - and others who have read the book will hopefully give their opinion, too -, is a book that recounts an investigation (or the part thereof that the author was active in). A book that goes not one fraction of an inch further than the real investigation that it is based upon. Furthermore, that investigation was made public at the same time that the book was published. All the data was available to the public. Does this make any sense: to claim that one is suffering, physically and psychologically, over a book that sums up the facts from a real-life investigation? A book that could easily be compared with the police files, its inaccuracies, mistakes, lies! exposed? I must have missed out on something, because I never saw that happen. What I DID see happen were other comparisons. But again, that is not for this thread. Freedom of expression, freedom of opinion? Absolutely, within the responsible, respectful exercise of adult citizenship. Trying to censor a book that is based on the factual report of a police investigation, trying to silence an entire theory that was investigated, defended by the police, rendering it illegal? That is more than a mere clash of two constitutional freedoms. That is censorship, and with the dimension that is being exercised by the McCanns through their lawyers, it is a personal persecution and an attempt to destroy a human being. Anyone who studies, however briefly, previous libel cases that have gone through the Portuguese courts, will realise the sheer abnormality of this claim. Professor Dave Barclay is a world renowned forensics expert and Senior Lecturer in Forensic Science at Robert Gordon University, Aberdeen. Professor Barclay has worked on some of Britain's highest profile murder cases. 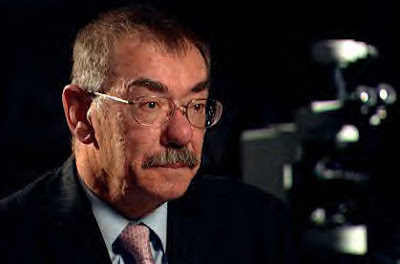 He is also a former head of physical evidence for the UK National Crime and Operations Faculty, where he was involved in reviewing more than 200 murder investigations, cold case reviews and inquiries into alleged miscarriages of justice, including the Bloody Sunday inquiry, the Omagh bombing, the World's End murders in Edinburgh, and the Millie Dowler and Soham murders. His extensive experience also led him into becoming an adviser for the BBC television series 'Waking the Dead' and more recently, the Channel Four documentary, Dispatches, invited Prof Barclay to Praia da Luz, Portugal to review the Portuguese police investigation into the disappearance of Madeleine McCann. A FORENSICS expert whose high-profile cases have included the disappearance of Madeleine McCann and the World’s End murders in Edinburgh will give a lecture in Aberdeen next week. Professor Dave Barclay, former head of physical evidence for the UK National Crime and Operations Faculty, will give a presentation to potential forensic science students at an open day at the Robert Gordon University (RGU) next Saturday. Prof Barclay, who has been a lecturer at RGU for about three years, has been involved in reviewing more than 200 murder investigations. His lecture, entitled Scientist or Psychopath, will take place at the School of Pharmacy and Life Sciences on the university’s St Andrew Street campus. Prof Barclay will discuss forensic science in crime investigations and use graphic case histories and photographs which some people may find disturbing. He said: “I have been involved in a number of cases, mainly child abductions and several murder cases. One of the most high-profile cases he has worked on was the World’s End murders in which Helen Scott and her friend Christine Eadie, both 17, were beaten, raped and strangled in Edinburgh in 1977. A man was charged almost 30 years later but was cleared of the killings. Prof Barclay said: “With the changing of forensic evidence and DNA over the years, we would look into cases to see if there was anything to link the murderers to the scene of the crime or to the place where a body had been dumped. 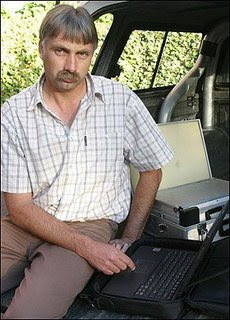 He was also sent to Portugal in 2007 to investigate the disappearance of Madeleine McCann for a Channel 4 documentary. Kate and Gerry McCann's Internet Appeal: "Imagine if she was your child"
"Imagine being Madeleine in a pitch black room, in a foreign country crying out for your parents who are out on the piss every night." THE parents of missing Madeleine McCann have posted a poignant internet appeal for information - urging readers: "Imagine if she was your child." Determined Kate and Gerry, both 41, placed the message alongside others on the findmadeleine.com website. 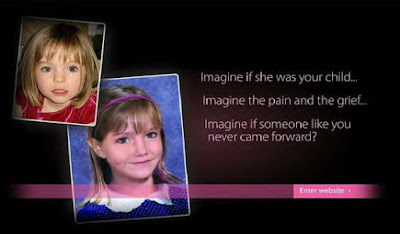 Appearing beside two pictures of the vanished girl, the wording reads: "Imagine if she was your child, imagine the pain and grief, imagine if someone like you never came forward." Another appeal says: "A little girl stolen, a family torn apart, but saying nothing is the worst crime of all." Yet another says: "If you stay quiet you are as guilty as those who took her." The messages are part of an initiative by Kate and Gerry, from Rothley, Leics, to reinvigorate the search (more can be seen here). A different message appears every time you click on the site. A statement from Kate and Gerry says: "There is absolutely nothing to suggest that Madeleine has been harmed." ...if you discount the blood, bodily fluids and death scent. Thanks, Jill, for asking for an update about The Madeleine Foundation. It’s no secret that The Madeleine Foundation has conducted an active campaign to bring to the public’s notice facts about the disappearance of Madeleine McCann which suggested that the claim that Madeleine McCann was abducted might not be true. 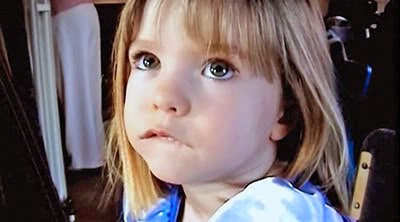 That campaign was assisted by a booklet: “What Really Happened to Madeleine McCann: 60 Reasons which suggest she was not abducted” and a much-condensed version of that titled: “10 Key Reasons which suggest that Madeleine McCann was not abducted”. “Not to publish in any medium whatsoever the allegation that the McCanns know that their daughter Madeleine is dead, and either caused or allowed her death, and that the McCanns have knowingly covered up this fact”. That is an undertaking I personally gave in writing to Carter-Ruck on 3 October 2009. Debbie, our Chairman, is considering her position. This means I am bound not to repeat the above allegation, at risk of libel proceedings being brought in the High Court which could be financially ruinous, given not so much any financial penalty the court might impose but liability for the costs of Carter-Ruck. These could easily run to a high five-figure sum with the McCanns employing one of their leading libel partners Adam Tudor, whose charging rate is reputed to be £500 an hour (over £8 per minute). So for Debbie, myself and The Madeleine Foundation, the landscape has changed since Carter-Ruck wrote their letters to us on 27 and 28 August. The Madeleine Foundation has not been wound up; on the contrary, we had a successful regional meeting in Cardiff on 3 October and we have another planned in the Manchester area on 14 November. We are also planning to have a General Meeting of all our subscribed members as soon as practicable where all aspects of whether, and if so how, we continue will be discussed. 'Well, the Madeleine Foundation website is no more, but The Madeleine Foundation itself is unaffected by the McCanns' demands made via their libel Solicitors Carter-Ruck. Our programme of meetings continues, starting with tomorrow's meeting in Cardiff and our meeting in Manchester on 14 November'. We understand that you did indeed proceed to hold a meeting of the so-called 'Madeleine Foundation' in Cardiff on 3 October 2009". 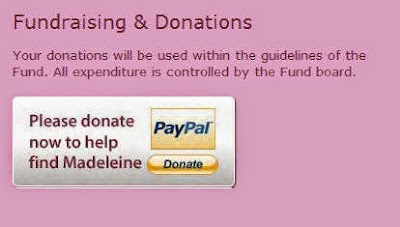 I should like to take this opportunity to make it crystal clear for the record, Jill, that the website now running on: http://www.madeleinefoundation.org/ is no longer in any way shape or form owned or controlled by The Madeleine Foundation, but has been taken over by Stevo, as must be clear from anyone who's been over to that site recently. Thus we have no website at present. Perhaps paradoxically, despite the banning of '60 Reasons', it is now appearing in a number of places elsewhere. For example, on 13 October, Wikileaks published not only the whole of '60 Reasons' but also the whole of '10 Reasons' as well. So the content is being brought to a still wider audience. That’s really all I can say right now; how things develop from here on depends on what members decide at our next two upcoming meetings. 6. Bodily fluids from a thawing corpse found in the boot of the same hire car. Amongst other places, including the wardrobe in the McCanns apartment. 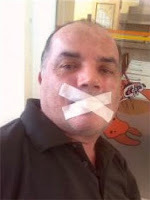 The investigating Police Officer, Gonçalo Amaral, has also been 'gagged' by the McCanns for writing a book "Maddie: The Truth about the Lie" based on the Official Portuguese Police Files, and the final Intercalary Report by Tavares de Almeida, all of which were released to the public and journalists but which are NOT being published here in the UK because we are being forced to believe the abduction story, of which there is not a shred of evidence, and which enables the McCanns to continue raising millions of pounds, some of which has paid their mortgage. An NHS trust tried to impose a gagging clause on a consultant as part of a deal to terminate his employment, to prevent him speaking out about issues of patient safety, it is alleged today. The Liverpool Women's Foundation NHS Trust offered Peter Bousfield, a long-serving consultant, early retirement and a termination payment after failing to resolve complaints he had raised about staffing levels. But it demanded that he should not speak out about his concerns with anyone other than the trust board and the Secretary of State, according to the British Medical Journal, which obtained documents relating to the case. Gagging clauses in severance agreements are routine to prevent each party making derogatory comments about the other after the deal is signed. 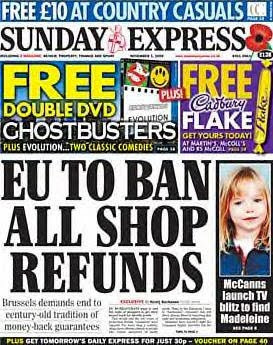 But they have been banned in the NHS where matters of public interest are involved under the Public Interest Disclosure Act 1998. 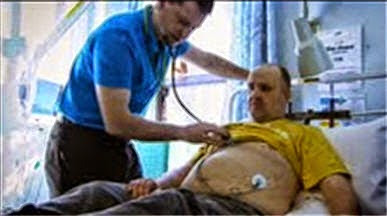 The BMJ claims the Liverpool example is not an isolated one. Freedom of Information requests to the trust disclosed 11 other severance agreements with gagging clauses since 1998, variously banning the doctors concerned from contacting the media or threatening recovery of the amount paid if they did so. The journal cites Public Concern at Work, a lobbying organisation which said it had anecdotal evidence of severance agreements being drawn up "with quite blatant clauses in them, where people are being paid a specific amount extra not to say anything". The Liverpool Women's NHS Foundation Trust said last night: "The trust is satisfied that the terms of the agreement reached with Mr Bousfield have not prevented him from raising concerns about patient safety with the appropriate regulatory bodies." It works both ways: An NHS doctor can gag people who speak out, too. A Big Brother landmark has been passed with ten per cent of the population now stored on the Government's DNA database. In total, there are now an astonishing 5,532,847 individual profiles logged on the giant computer system - out of a population of 54million in England and Wales. Around one million of those included on the system have never been convicted of any crime. It will fuel the public backlash against the march towards a surveillance state, with polling released today showing eight out of ten voters are now fed-up with the increased use of surveillance powers. Shadow Home Office Minister James Brokenshire said: 'The Government has been obsessed with growing the DNA database for the sake of it regardless of guilt or innocence. 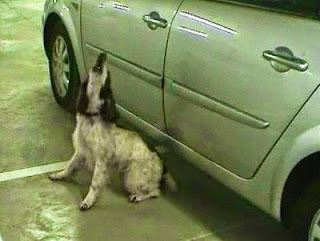 'Despite being told that their approach is unlawful they have been dragging their feet about doing anything about it. 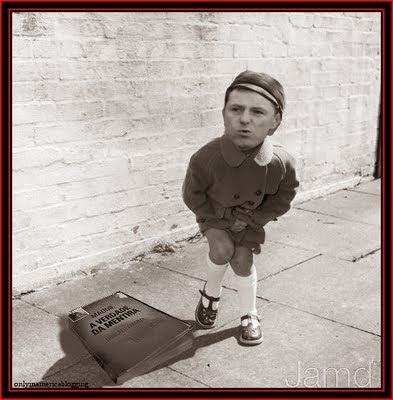 The polling, carried out for the civil liberties pressure group Big Brother Watch by PoliticsHome, found 45 per cent of respondents answered ‘strongly agree’ and 34 per cent ‘somewhat agree’ with the statement: 'Our freedoms are being eroded by a Big Brother state'. Alex Deane, director of Big Brother Watch, said: 'Britain is a country rightly known around the world as a cradle of liberty and freedom. But as these results show, most people now feel that our freedoms are being eroded." A couple more Big Brothers ready to erode your freedom. Child protection campaigners accused judges of 'spitting on Baby P's grave' after the Appeal Court ruled that Jason Owen was not dangerous enough to be locked up indefinitely. A panel of judges admitted that Owen, 37, was 'feckless and irresponsible', that he posed some risk of offending again and that he could be a danger to the public after his release. But they still cut his jail sentence for his role in Baby P's horrific abuse and death to just six years because they did not believe he posed a ' significant' risk. This means he will serve only three years - and he will be out on licence in less than two years. Owen, who is a former crack cocaine addict and convicted arsonist, will be freed in August 2011, because of time he has already served behind bars. Yesterday's ruling was greeted with fury by child protection groups, who warned that other children could be put at risk. Michele Eliot, of the children's charity Kidscape, said: 'Three years is not enough. If there's even the slightest risk that this man could reoffend then he should not be allowed out of jail. Note: Here's another WTF article in today's Daily Mail regarding the Justice System in this country: £1m stolen in 665 raids. Yet burglar walks free... and is given a new home - based on these two articles alone surely it must give 'renewed hope' to the McCanns that they will get away with whatever it was they did with their daughter, and their subsequent fraudulent fund. It's looking good for you, McCanns, it's looking good. You might even get a new home out of it if you haven't already finished paying your mortgage off with public money, that is. 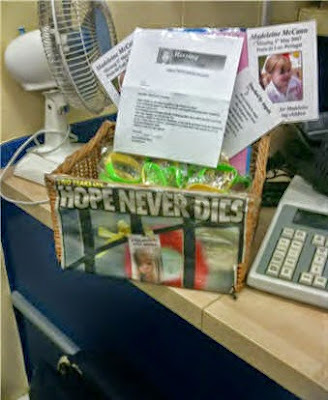 Many thanks for the latest donation to the Madeleine Fund. Your continuing support to the search for our beautiful Granddaughter Madeleine means so much to us. It is a battle to get through each day but kind gestures from others do help especially when they happen on a really bad day. We must continue to search for Madeleine as we just do not know what has happened to her. Please God we will be successful in our search and in our prayers to get our beautiful Madeleine back. Madeleine McCann was reported missing on May 3, 2007. Her parents immediately claimed that she was abducted despite little or no evidence of abduction. After the police brought in specialist dogs, they detected the scent of human cadaver and human blood in the same ten places. Scent was found in the apartment and car rented by the McCanns. Considering that no dead bodies had been reported in those places and the dogs had a 100% accuracy with no false positives it offers compelling evidence that 3 year old Madeleine McCann died in Portugal. 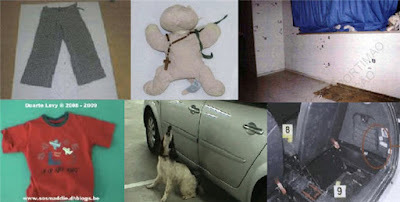 The conclusions of two police inspectors involved in the case were that Madeleine McCann died in Apartment 5A and that the cadaver was concealed and the abduction was faked. 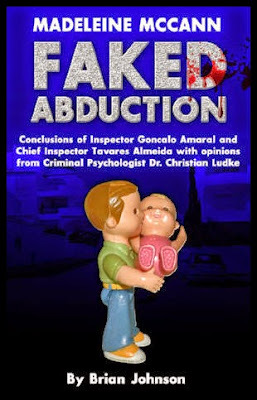 Read Faked Abduction and see the evidence for yourself. Oops Gerry, you better get Carter-Rucking! Former PJ inspector alleges economical insufficiency to defend himself from the lawsuit by Madeleine McCann’s parents. The former coordinator of the Maddie case investigation is asking the State for help in order to be able to defend himself in the lawsuit that has been filed by the parents of the child that went missing in the Algarve. He alleges economic insufficiency in order not to pay court costs. Gonçalo Amaral has requested the Social Security’s help shortly before contesting the injunction that was presented by Kate and Gerry McCann, which aimed at removing the book “The truth about the lie”, and the documentary that is based on the same work, from the market, as well as to cease the sale of author’s rights into foreign countries, through editors Guerra e Paz. And further, to prohibit the investigator, who is now retired from the Polícia Judiciária, from continuing to publicly speak about his theory in the case of the little English girl. Madeleine McCann’s parents demand damages in the amount of 1.2 million euros, which means that the value of the justice tax that has to be paid surpasses five thousand euros, for contestation only, and excluding other costs. 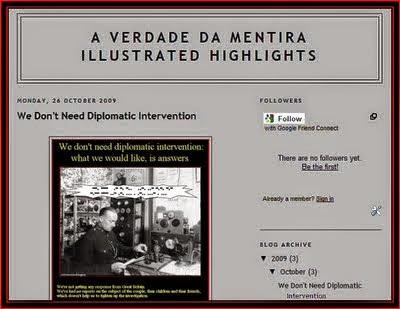 More recently, only days ago, the former Maddie case inspector saw the Civil Court of Lisbon preventively seizing the profits from the sale of the books and the documentary, through an unipersonal firm in Amaral’s name, as a way to guarantee that there will be money to pay an eventual compensation, whose pertinence will only be evaluated in the main action. 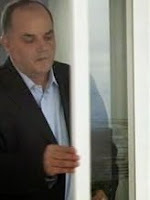 According to information that was collected by JN, in the request for financial assistance, due to economical insufficiency, Gonçalo Amaral has declared a liquid yearly income of 39 thousand euros, presenting a family aggregate of four persons: the former investigator himself, his wife and two girls, aged 11 and five. The author of “The truth about the lie” has no further assets in his name – he has no property and no vehicles. The only family car, a Ford Focus of 2003, is in his wife’s name, who is a technician at Portimão’s City Hall. In a press release dated days ago, the former Judiciária coordinator stated that he fears that “the truth about the disappearance of Madeleine is at risk of being decided in the office”. And he is also afraid of “being prevented from defending his reasons in court, due to the extremely high monetary costs” of the process, concerning lawyers’ fees and “millionaire judicial costs, from which, it would seem, only the impoverished are exempt”. For now, Gonçalo Amaral has requested Social Security to exempt him from paying the justice fee and other costs of the process; the final decision, which may also pass through an appeal with the courts, is not known yet. Gonçalo Amaral asks the Civil Court of Lisbon to revoke the injunction, alleging that its amplitude impedes not only the divulgation of the contents of the book “The truth about the lie”, but also the divulgation of the terms that are part of the Maddie case investigation process, which ended up being archived. Thus it is disproportionate and unconstitutional, offending the right to freedom of expression. The former PJ investigator stresses that he does not accuse Kate and Gerry McCann of having murdered their daughter and concealing her cadaver. 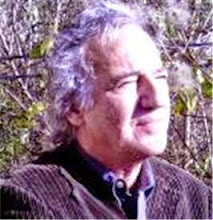 And that he only defends the theory of her death in the Ocean Club apartment, in Praia da Luz, Lagos – not referring anyone’s authorship – and “suspects” posterior involvement of the parents in concealing the cadaver. He further underlines that his entire report is based on facts that have been established within the process and that even the inquiry’s prosecutors say it is “most likely” that the little girl is dead. More: Amaral recalls that the McCanns themselves and their spokesman have already publicly admitted, in interviews, that Madeleine may be dead. The McCanns ask members of the general public, who are censored from knowing the truth, for money, while they carry on suing and silencing those who don't believe their version of events. Who are the directors of Madeleine's Fund? Worked for free did you Mr £500 per hour lawyer? Adam Tudor, Carter-Ruck: "Naturally it would be pretty hard to top Mr and Mrs McCann’s victory against Express Group." * has now seen his company car and one-third of his company's income being seized by the court, again it appears on an ex parte application. If anyone would like to send him personal good wishes I have his e-mail. "Today, the only person prosecuted in the case of the disappearance of little Madeleine McCann is the officer who conducted the investigation." At the end of May, my wife Sofia visits me at the offices of the Department of Criminal Investigation in Portimão. She brings a flower basket filled with orchids, roses, lilies, and gerberas, decorated with butterflies and birds in shades of green and yellow, the two colours symbolising the mobilisation around Madeleine. A little note from my daughters accompanies it: "Papa, we love you, don't forget about us, but find Madeleine. Rita and Inès." 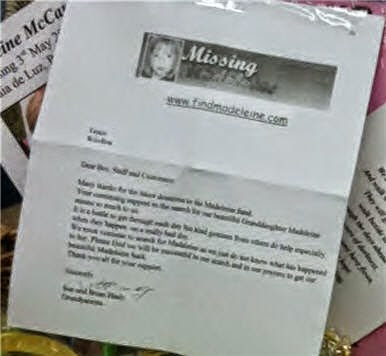 That bouquet stayed in my office, withering as the days went by and the hope of finding Madeleine alive dwindled. It is at this time that, suddenly, the parents seem to admit the possibility of their daughter's death. Afterwards - and to this day, if I am not mistaken -, they take exception to this hypothesis. Perhaps we were being naive, but it had seemed to us that Kate was going to provide us, indirectly, with indications about where her daughter's body was to be found. Thus, at the beginning of June, she informed us that the body could have been hidden in the outlet of a sewer pipe at Praia da Luz, or on the cliffs to the west of the beach, where she happened to run. She will say later that this information had been given to her by mediums possessing psychic power. Kate heard of a man called Krugel, a former South African army colonel, who had allegedly perfected a machine enabling him to detect the presence of a body. A decomposing body emits particles: if hair from the deceased person is placed in the machine, it detects identical particles. On June 9th, Kate asks friends to go to her home in England to collect some of her daughter's hair and send it to Krugel. The inventor then states: "Madeleine's body is in this area." The National Guard - who had already combed this area after the disappearance - conduct more searches. Once again, to no avail. As bothered when he left as when he arrived, Krugel goes back to South Africa, taking machine and journalist with him. WHENEVER I read a story about child neglect and cruelty I always think of those women and men who are desperate but unable to be parents, who’d give anything for the privilege of bringing a child into the world. The latest appalling case involved a 22-year-old single mother-of-four from Blackburn in Lancashire, who went off on a 24-hour bender and left her children home alone. The oldest child was just four. The youngest was a three-month-old baby. This appalling excuse for a mother was only found out when her distraught eldest daughter was seen hanging out the window crying for her mum. Shocked police officers entered a filthy and disgusting hovel littered with empty beer cans and bottles. The baby was lying in a urine-soaked cot and there was debris and rubbish everywhere. The poor children were starving. The mother was found guilty of four charges of neglect and will be sentenced later this month, but she can’t be named in order to “protect” her kids. I sincerely hope those four little mites are now being looked after properly by someone who will give them the love and attention they need. You can’t help but wonder how often they were left scared, hungry and all on their own. Anything could have happened to them and it’s only through sheer luck they weren’t seriously hurt or even killed. The little girl could have fallen from the window and any one of them could have taken a tumble. What possible chance of a decent future do children like that have if they’re never shown care and compassion, or taught basic life skills like how to keep themselves and their homes clean? Some people just don’t deserve to have kids, and as much as this story upset and angered me I think how much worse it must be for childless couples who would make excellent parents. The mother could find herself in jail, but it’s clear she isn’t fit to look after her children and they would be far better off being fostered or adopted, ideally as a family unit so they can all stay together. Sadly their feckless mother is young enough to have more kids that she can neglect and mentally scar for life. Meanwhile desperate couples put themselves through expensive and draining IVF treatment to fulfil their dreams of parenthood. Life can be very unfair. Question: You have been quite vocal in your defence of Kate and Gerry McCann. Why do you think so many people are suspicious of them? "I have nothing but the deepest sympathy for Kate and Gerry McCann. I can't begin to imagine how they have suffered and they have been so brave in their battle to find their daughter. No one knows better than them how stupid it was to leave their kids alone that night, but what a price they paid. I think the way they have been vilified is appalling and inhumane. They will never rest until they find Madeline and they can never really have any peace until they know what happened to their little girl. It is a living hell." He told them he had snatched Madeleine in a £100,000 “steal-to- order” kidnap plot. And the Daily Star Sunday can reveal that police are set to quiz two jailed British gangsters believed to have heard his shock claims. "Given the complete lack of evidence to support the 'abduction' theory and the super-human skills which would be needed by any putative abductor, I would be more inclined to believe The Star if the headline was "Maddie Snatched by Time Lord", not Crime Lord." God values children, as we all must. As The Bible says, 'Behold, children are a heritage from the LORD, the fruit of the womb a reward' (Psalm 127:3). We must defend and protect children, even if it is difficult for others. 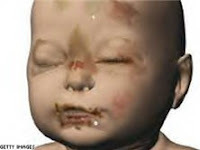 I first became aware of the case of Madeleine McCann in September 2007. I saw a report on CNN that the parents were suspected of killing their child. That was not a surprise, because in most cases where a very young child disappears the parents or guardians are involved. I cannot say I took a lot of interest in this case until very recently. In my business (Real Estate) I have one or two contacts in England. Last week one of these contacts sent me a copy of a letter and a book What Really Happened to Madeleine McCann that showed that Mr. and Mrs. McCann were never charged with any crime, not even child neglect, despite overwhelming evidence. Many believe this situation was a direct result of interference by the British media and political machine. Now I don't know about you, but I do not like it when adults hurt children. Worse, I do not like it when they hurt children and then lie about it. Worse still, when they hurt children, then lie about it and then are protected by politicians. I was told enough about the parents of Madeleine McCann to decide to spend some time doing my own research. What I found was astonishing. These people have been protected by a ring of British politicians including Prime Minister Gordon Brown and those close to him, including a spin doctor, the Foreign Secretary, a government spokesperson and former Prime Minister Tony Blair. This would be like sending Barack Obama, Hilary Clinton, Robert Gibbs and George Bush, and let's throw in Bill Clinton for good measure, to the aid of JonBenet Ramsey's parents to provide good PR, to manipulate the media coverage to their advantage and to interfer in the police investigation. Not only that, but politicians of the two British opposition parties and British members of the European Parliament also threw their public support behind the parents of Madeleine McCann, even while they were official suspects. The McCanns were recruited as child-protection ambassadors by British European members of parliament. Gordon Brown waded in, speaking directly to the Portuguese Prime Minister. The Portuguese police chief in charge of the investigation was mocked and threatened by the British, and after complaining about the interference he was sacked. Is it any wonder the Portuguese (under attack by the full force of the British political machine and their gutter press determined to portray the Portuguese as incompetent and ruin their tourism in the process) put their hands up and said: "we give up?" 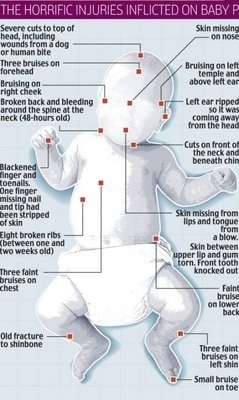 When you look at that and you look at the McCann parents, you have to ask yourself: what the hell is going on? How can anyone believe this couple for one second? Everything points in their direction. The list goes on and on, from the mother refusing to answer police questions, telling the media they would take a lie detector test then refusing, claiming shutters in the condo had been forced open when plainly they had not, holding up a vast T-shirt with their daughter's image on it while grinning from ear to ear, playing tennis and running while others searched for their daughter, saying how well they were sleeping just a few days after Madeleine had disappeared, turning their daughter's eye defect into a logo to raise money and using that money to pay for their mortgage, refusing to take part in a police reconstruction (their spin doctor said they would only do a reconstruction if it was a TV show), grinning and laughing when they were unaware TV cameras were still rolling after faux emotional pleas.